Moorebank has boasted a wealth of new jobs opening up on the fencing market. We’re expanding our operations in the area to offer a localised, reliable experience in maintaining, building and fixing fences, and we look forward to hearing how we can help you. Fences are part of the great Australian dream, separating your property from the next. That’s why it’s important to engage a vendor that knows what they’re doing. Our focal point since the formation of the company is you. We ensure that your requirements are catered for. Whether you need to replace a section of fencing or rip up the entire thing and replace, we can assist. For peace of mind, don’t settle for cheaper alternatives. You need a reliable, upfront provider so you can ensure you get the best team for the job. Richy’s is fully insured and licensed, with a focus on current and upcoming legislation so that we’re on the right side of the fence when it comes to law. Situated in Moorebank, our areas of operation span both the local region and the greater Sydney metropolitan area. If you want to know if you’re covered, simply check out our service location area which covers Moorebank. All our quotes are done online so definitely send us your requirements and we’ll get back to you as soon as possible. We understand our customers are looking for the best deal, so we compete on price and service quality. You won’t be disappointed when you commission a Richys tradesperson to do your Moorebank fencing. To engage Richys is to engage a provider that cares about trust and reputation. 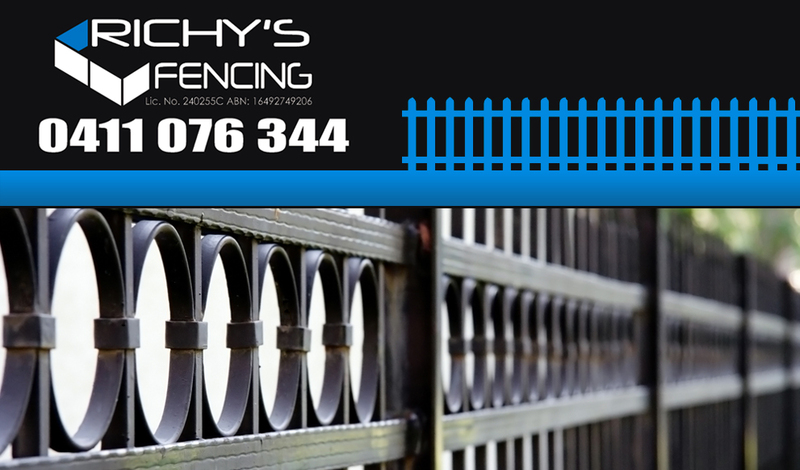 For one of the best Moorebank fencing providers, contact Richy’s today.